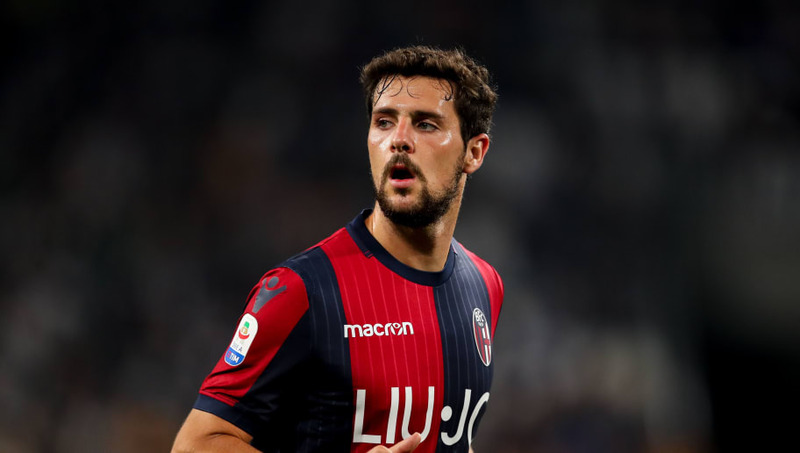 Bologna striker Matta Destro is reportedly the subject of interest from both West Ham and Newcastle United during the January transfer window. The 27-year-old has struggled to hold down a regular place in I Rossoblu's starting XI this season, with manager Filippo Inzaghi preferring the likes of Federico Santander and Rodrigo Palacio up front. Since joining Bologna in 2015 for a fee of £8m from AS Roma, Destro has scored 25 goals in 92 appearances. However, he is yet to find the back of the net this season and is primarily being used as a substitute by the ​Serie A club. Reports in Italian newspaper Il Resto Del Carlino, as quoted by ​HITC, have revealed that the Italy international's agent has been in discussion with Newcastle and West Ham over a possible move in the January transfer window. The Magpies under manager Rafael Benitez have been struggling to score goals this season, often relying too much on Salomon Rondon and could be banking on Destro benefiting from a fresh start in the Premier League. ​West Ham on the other hand could bring in the Italian as a short-term replacement for Marko Arnautovic if the Austrian leaves the club this month. With Destro's best ever goal-scoring season coming in 2014 at Roma (13), it could be a major risk to sign a striker who has only ever reached double figures four times in his career. Yet with the striker unlikely to command a huge fee in order to lure him away from Genoa, it may be a risk that both ​Newcastle and the Hammers are willing to take.